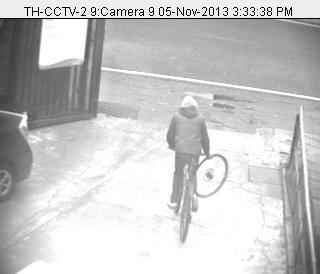 Brixton Blog are reporting that local police are appealing for help identifying a man who stole a bicycle and a bike wheel on Tuesday November 5 from the rear of the Town Hall. 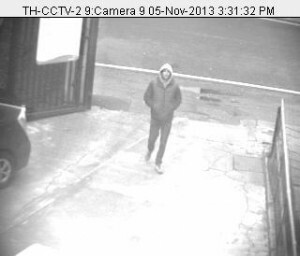 The man’s image was captured on CCTV at 3.30pm. Anyone who recognises the person in the images is encouraged to contact PC Patzer on 0208 721 2623 or alternatively if you wish to remain anonymous you can call Crimestoppers on 0800 555 111. This follows a recent small spate of thefts of bicycle wheels from the stands outside the Town Hall on Brixton Hill and Acre Lane. We would urge cyclists to be particularly cautious in locking their bikes and both wheels in the area. This entry was posted in Blog and tagged Acre Lane, Brixton Hill, Buckner Road, cycling, police by Martin Tiedemann. Bookmark the permalink.